Mother’s Day is Sunday May 13th! It’s that time again! Mother’s Day is Sunday May 13th. 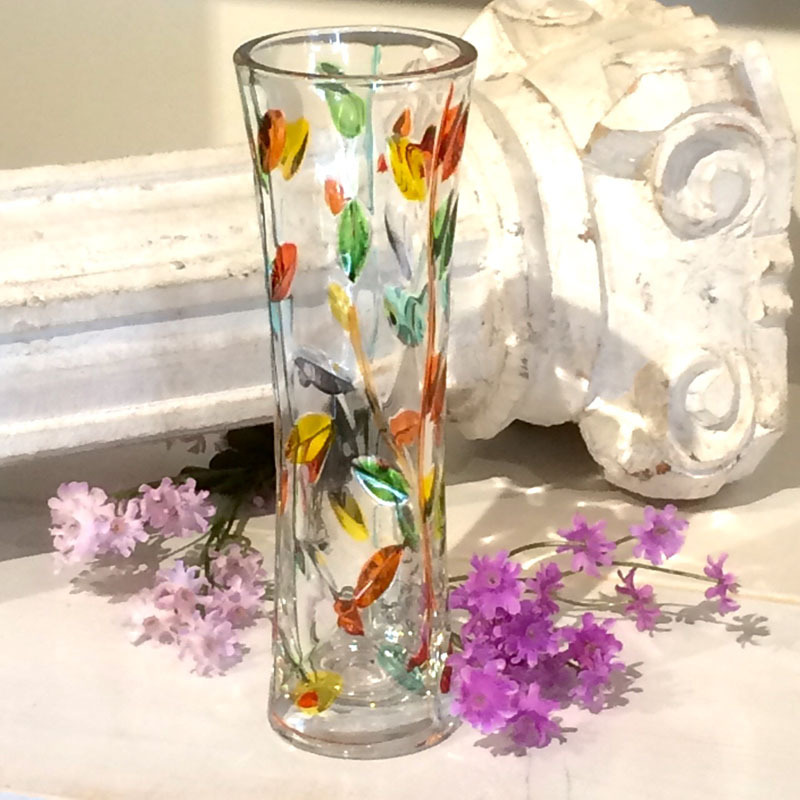 At a loss for something special for your super special person called MOM? 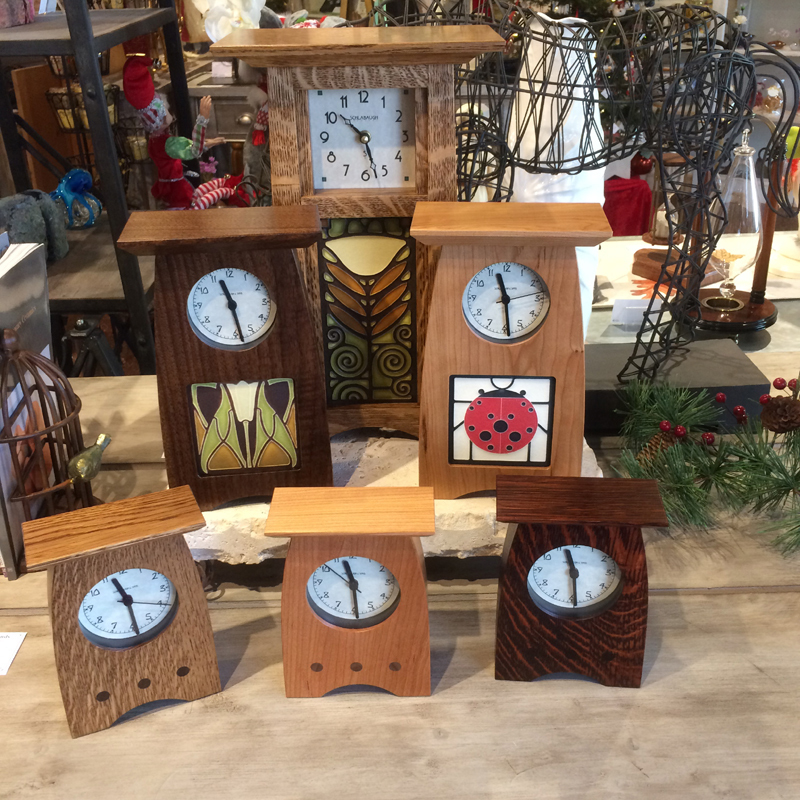 Take a look at these – each one is hand made and special, just like Mom. How many meals did she make for you? 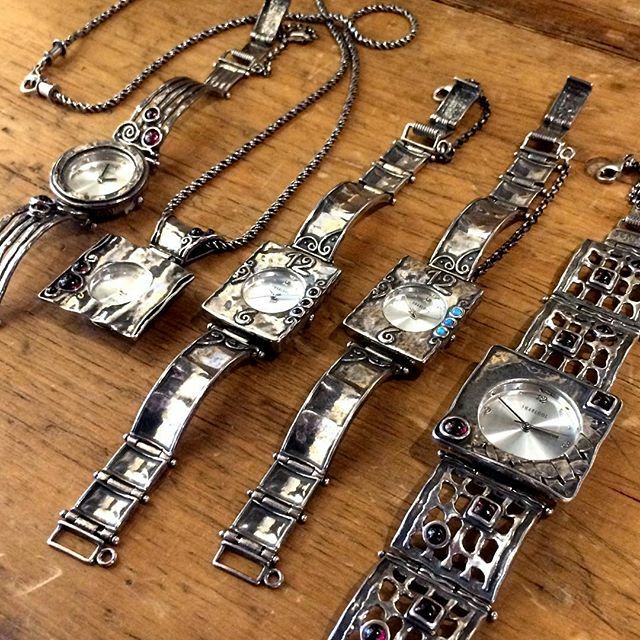 Well, show your appreciation with one of these vintage silverware frames or wall clocks. Hand crafted in California. 65.00 and up. Charming pewter boxes accented with sparkling crystals make for an elegant keepsake. 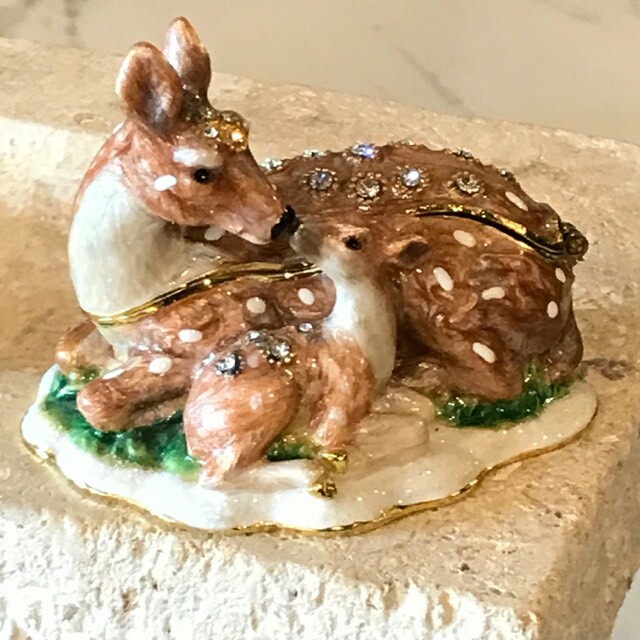 We have dozens of decorative boxes in a variety of subjects, like this wonderful Doe and Fawn box 75.00. Been awhile since you’ve seen your mom? 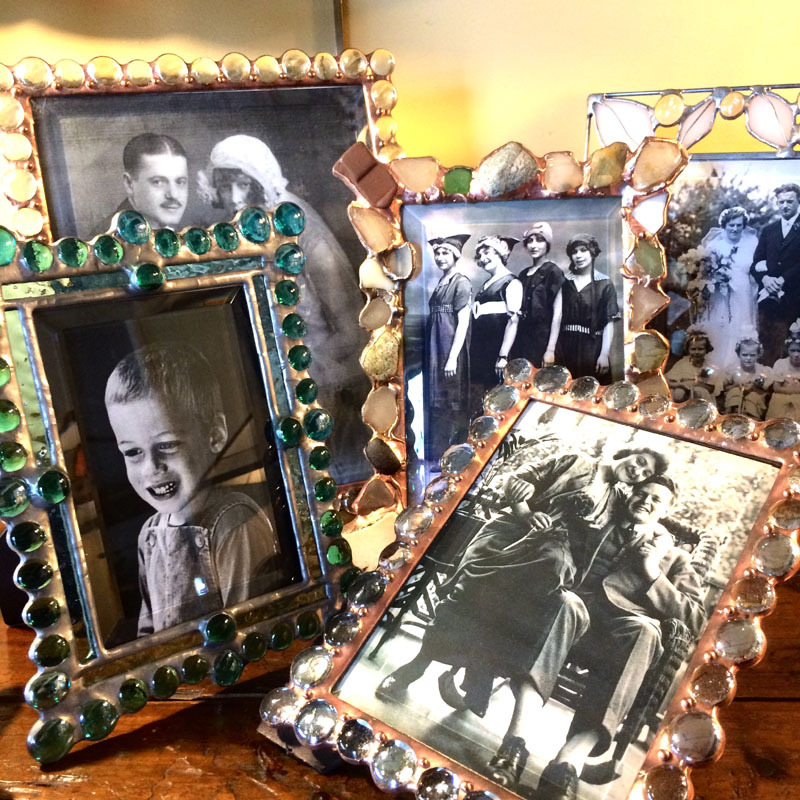 Why not give her one of these nifty handcrafted frames with your picture in it – or confuse her and leave the photo that comes with the frame. Either way, she’ll be happy with one of these one of a kind creations..65.00 and up. Jewelry always works. 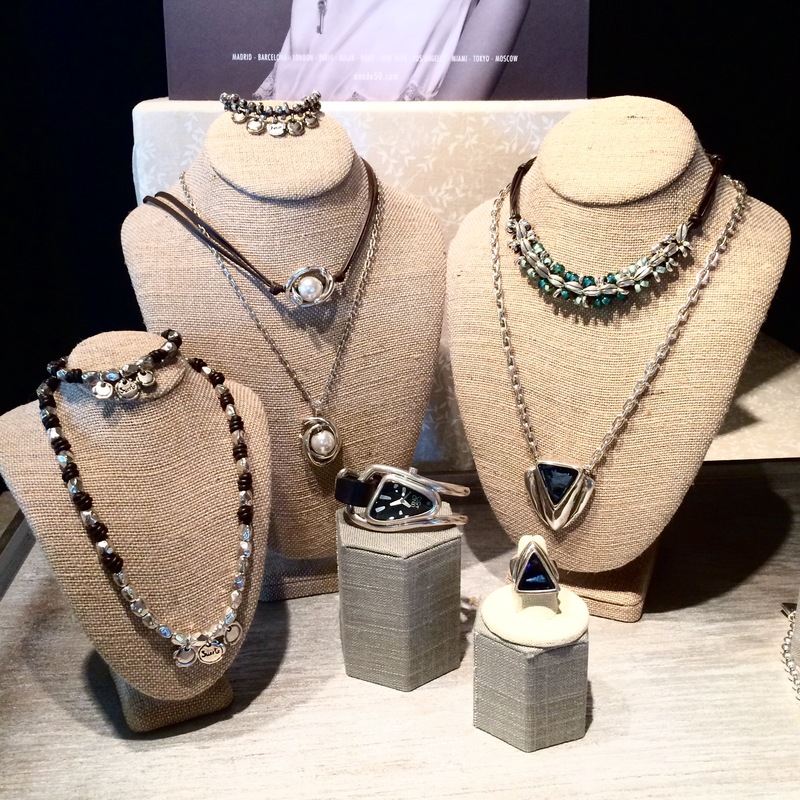 We have a super selection of mom jewelry. The family pendants are available for 1 to 4 children, single or two parents. 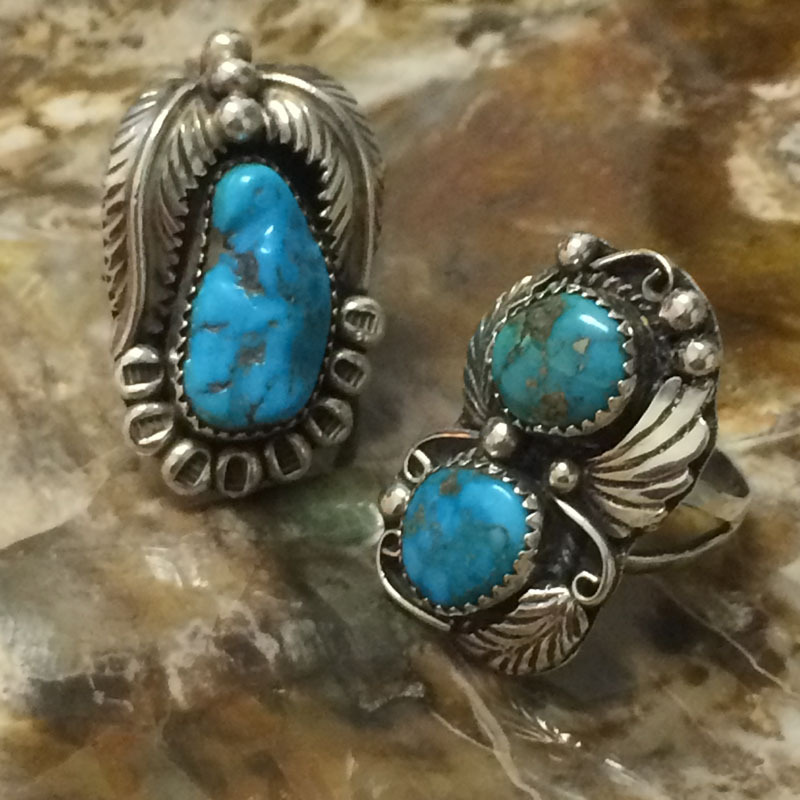 Sterling silver with chain – handcrafted in New Mexico. 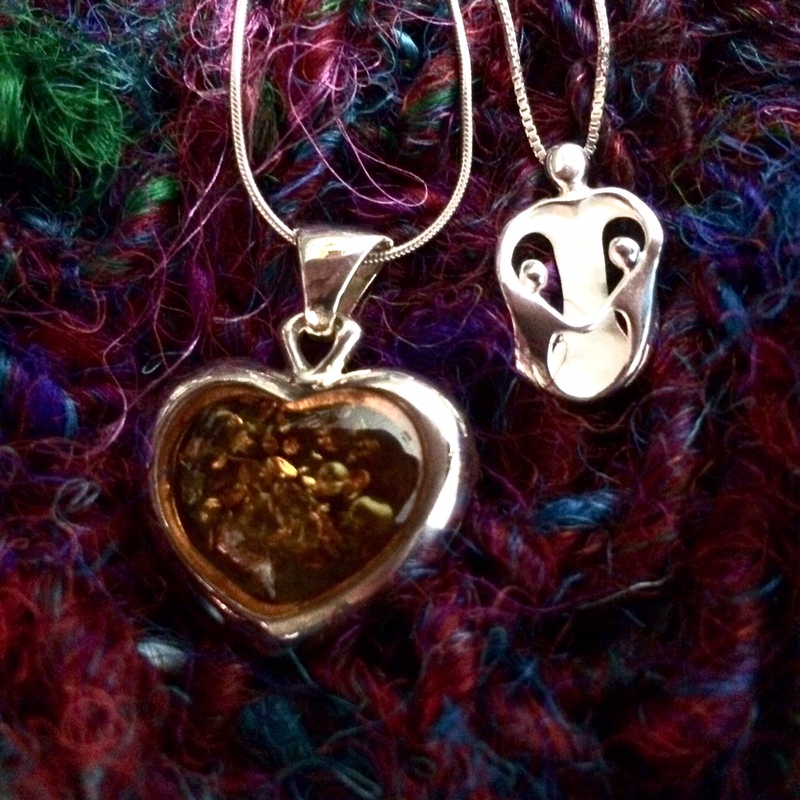 45.00 Natural Amber Heart Locket in Sterling Silver from Poland 135.00. Peace and Quiet or Meditation – now that’s something every mom needs from time to time. From Buddhas to Singing bowls, we have something that will calm her nerves. Buddha statues from 9.50 singing bowls from 35.00. Uno de 50 jewelry is created by designers in Madrid, Spain. 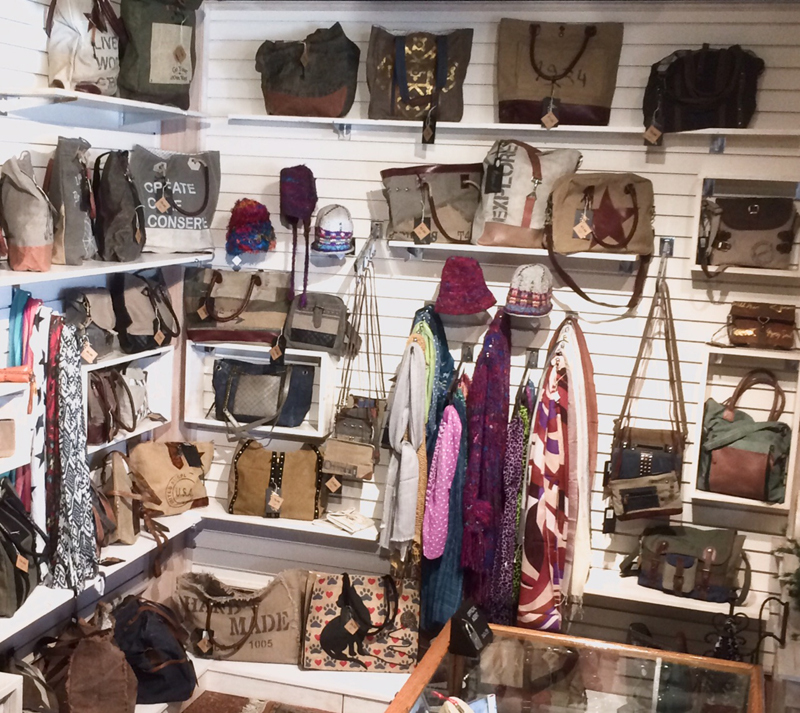 The unique pieces make a fashion statement and have a rustic, sophisticated beauty that are loved the world over. 95.00 up. 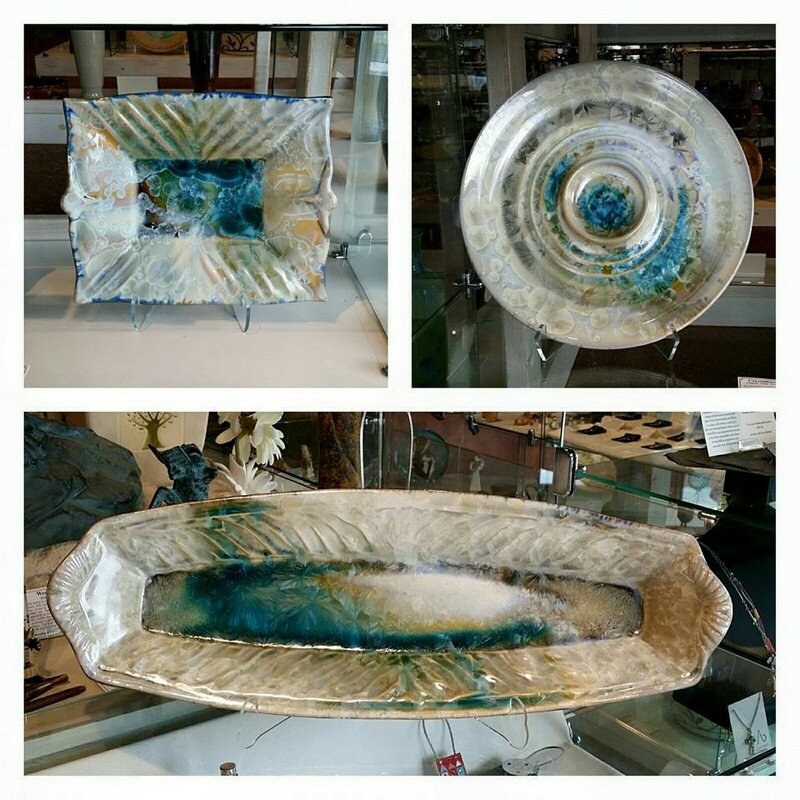 Beautiful art glass has been featured in the gallery for decades. 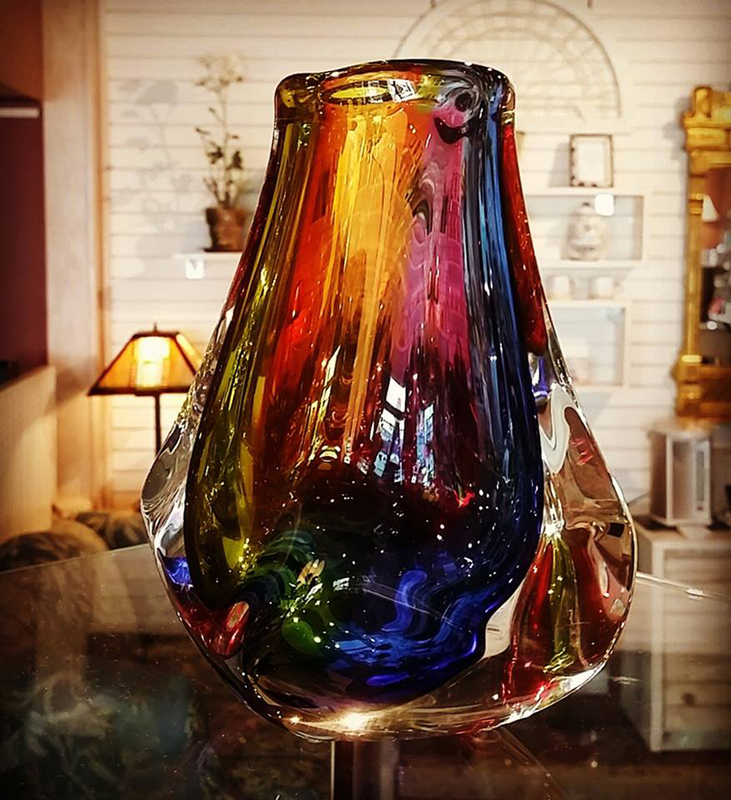 There’s nothing quite like the vibrant colors captured by the glass artist. 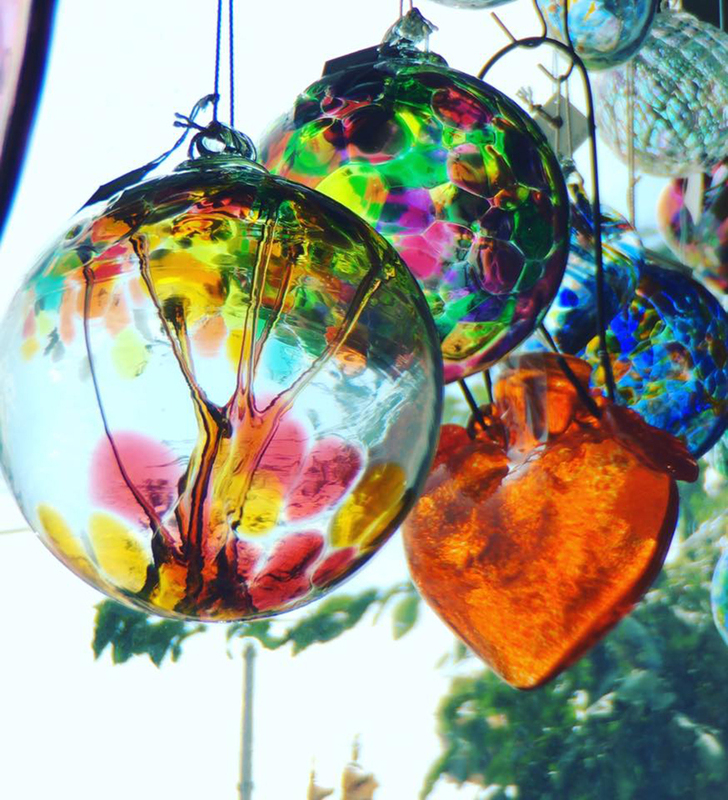 The heart paperweights on the left are crafted in California and Washington. 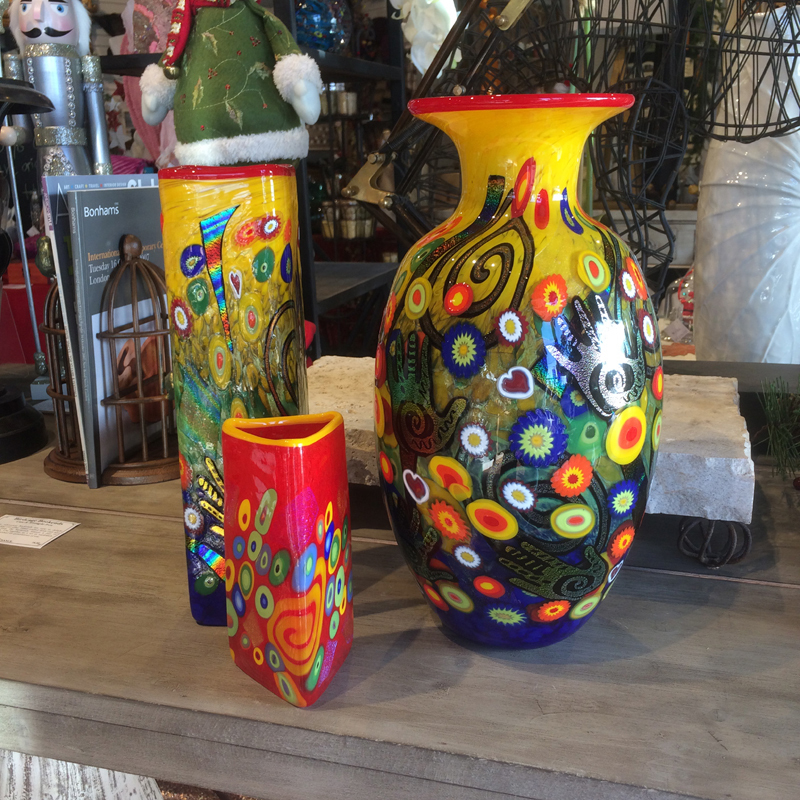 45.00 – 65.00 The colorful bud vase in the center is hand made in Italy 45.00. we have art glass from all over the world. 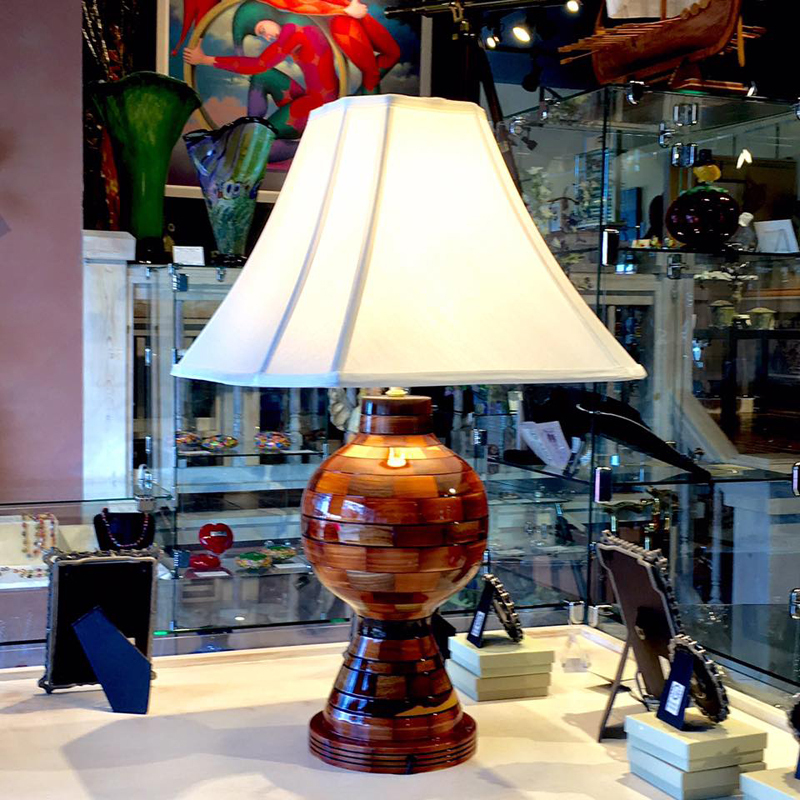 Everyone likes Frank Lloyd Wright – even moms! 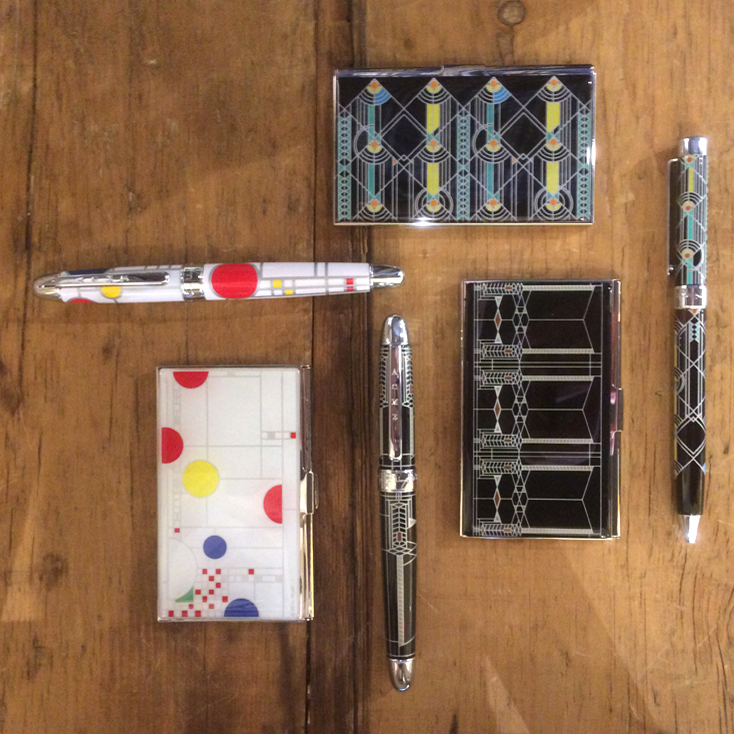 These FLW inspired card cases and pens are designed in Maui, Hawaii. Not a FLW fan? 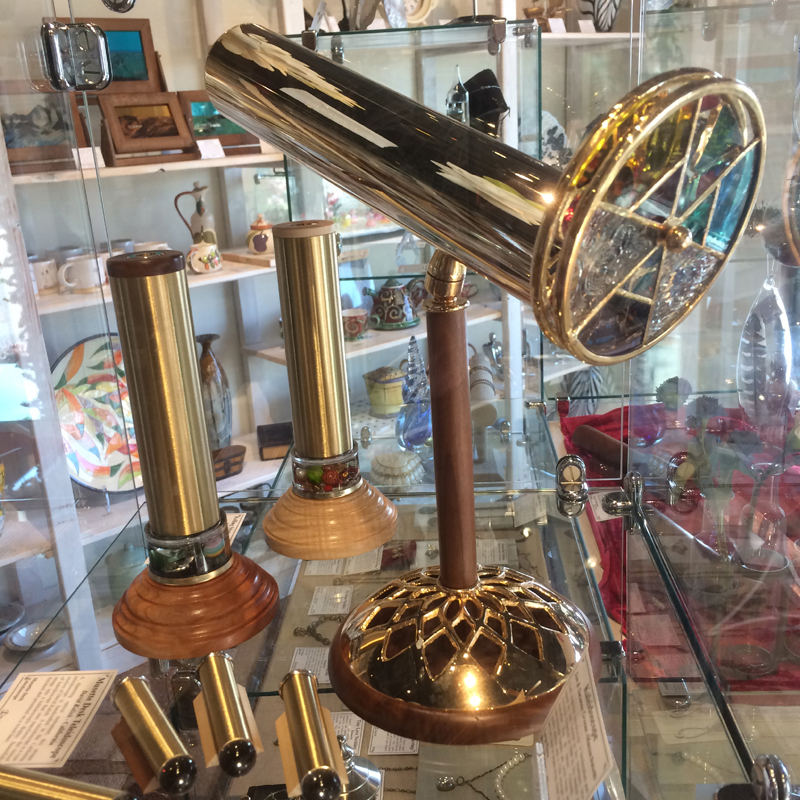 We have lots of unique designs. 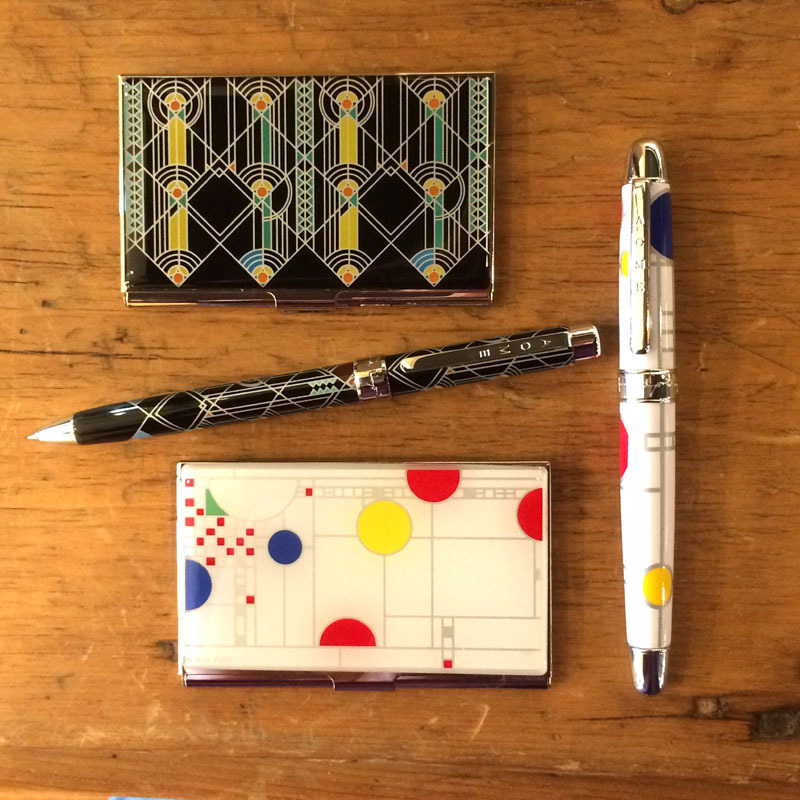 Card Case 45.00 Roller-ball Pen 85.00. If you are so blessed to have your Mother still with you, please take the time to make sure she knows just how special and important she is. 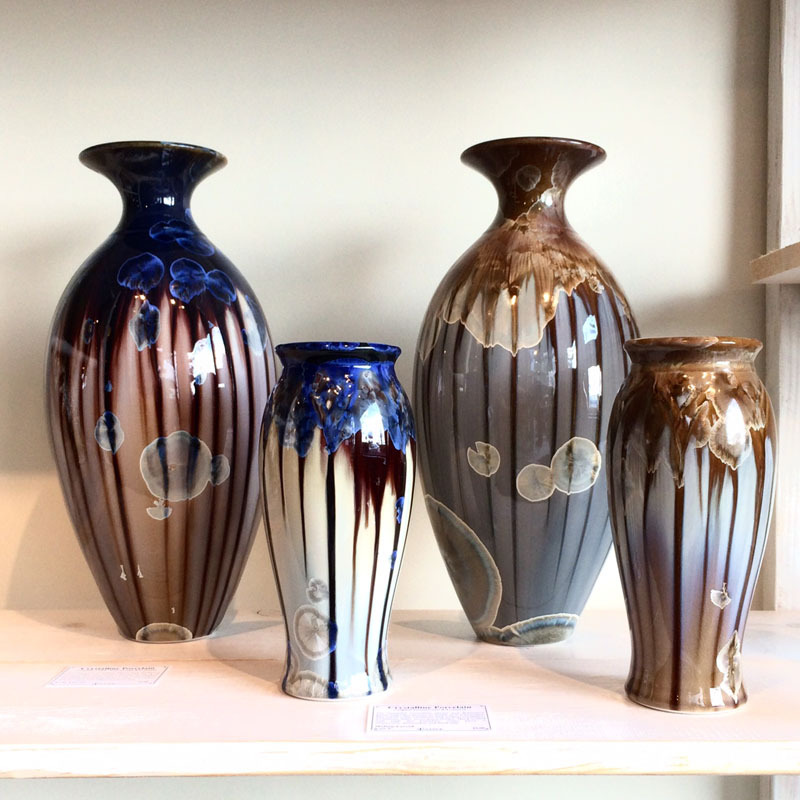 The Nance Gallery family wishes everyone a very special Mother’s Day. 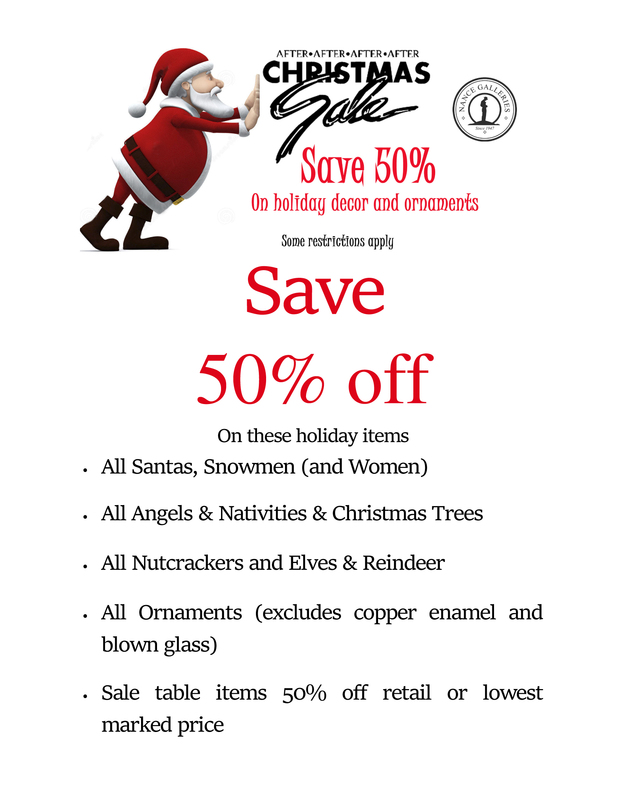 Time to save on our unique Christmas decorations! 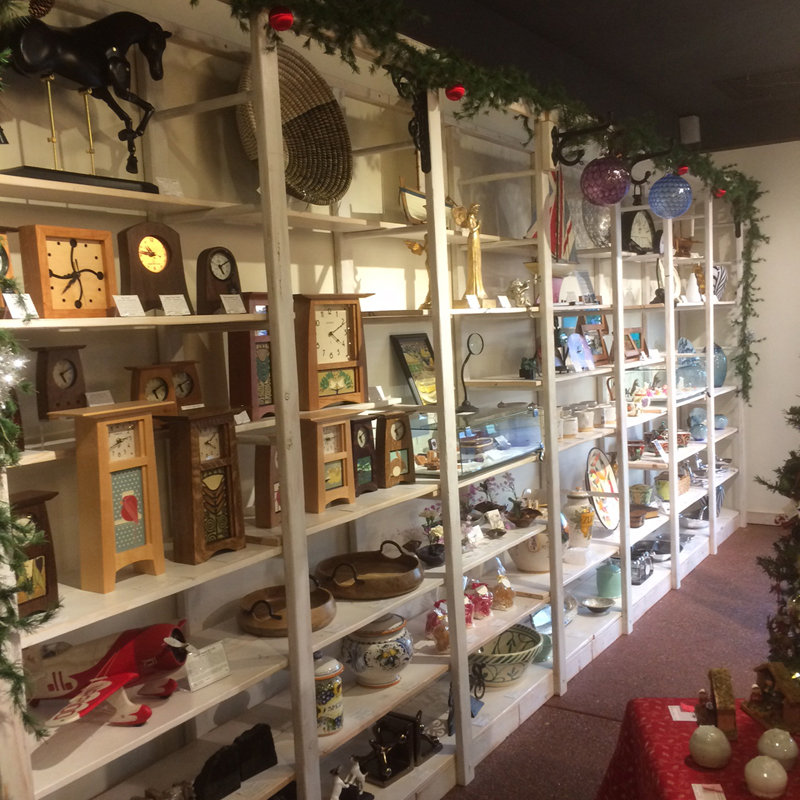 We usually don’t discount our Christmas themed treasures, but not this year! We’re expanding our gallery in 2018 and need to make room! 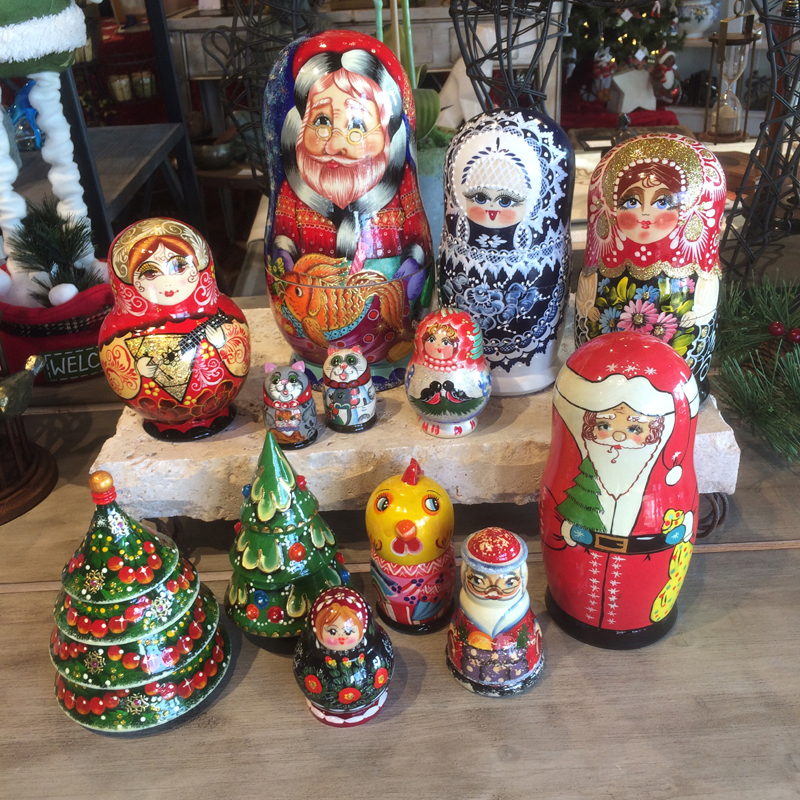 Save 50% or more on all of our Santas, snowmen and other decor that will make your Holiday decorating extra special! Hurry! savings are limited to stock on hand! 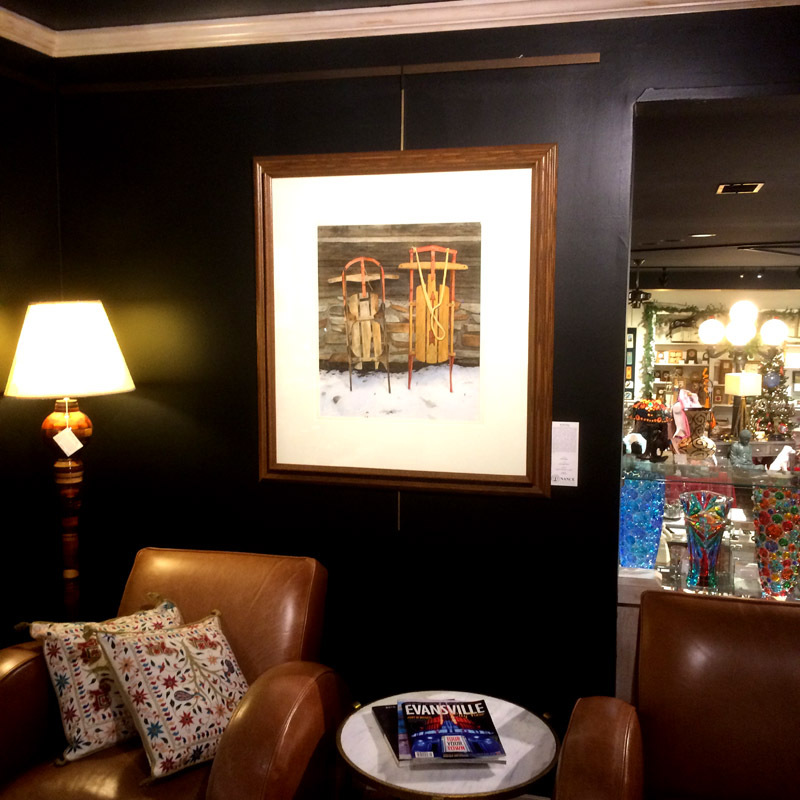 Another Great Nance Galleries Giveaway! It’s the 1st day of Winter and the next Full Moon won’t arrive until January 12, 2017 – but we’re not waiting around. You can win this beautiful Moonstone Pendant this Friday, December 23rd at 5:00pm! Just like this post and share on your Facebook timeline. Add a comment and you’re in for a second chance! This elegant pendant is handcrafted from sterling silver and features a beautiful moonstone, presented on a sterling silver Italian chain. Retails for 125.00! 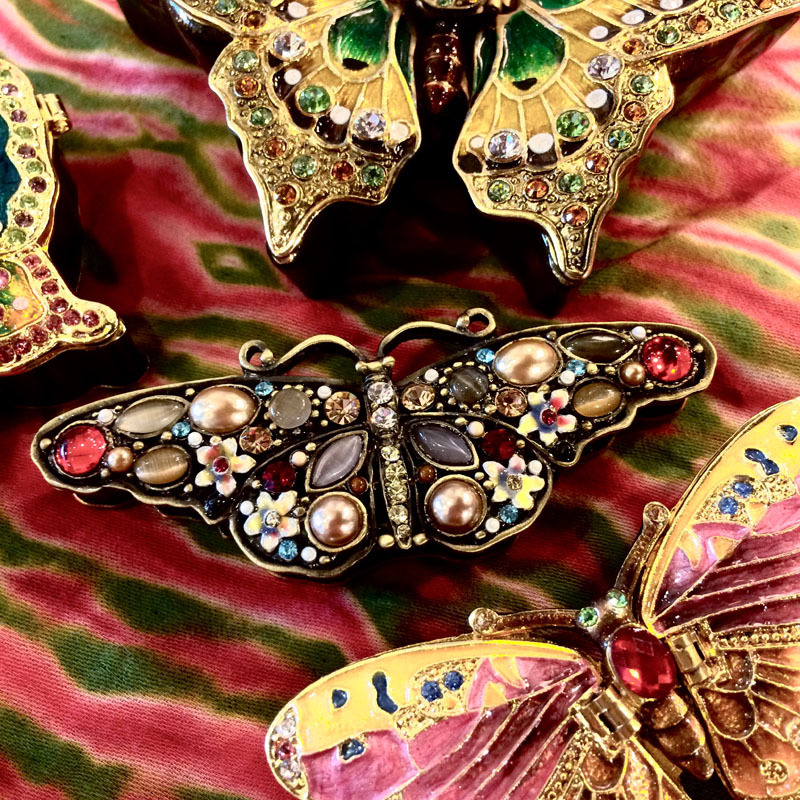 Check below for some other beautiful jewelry ideas. Just in case he thinks a toaster oven is a great Christmas gift! We have a great selection of colored gem stones in stock. Blue Topaz, Amethyst, Peridot, Iolite, Larimar, Tazanite, Opal and many more! So if someone needs a hint – there’s still time for Christmas gifting. 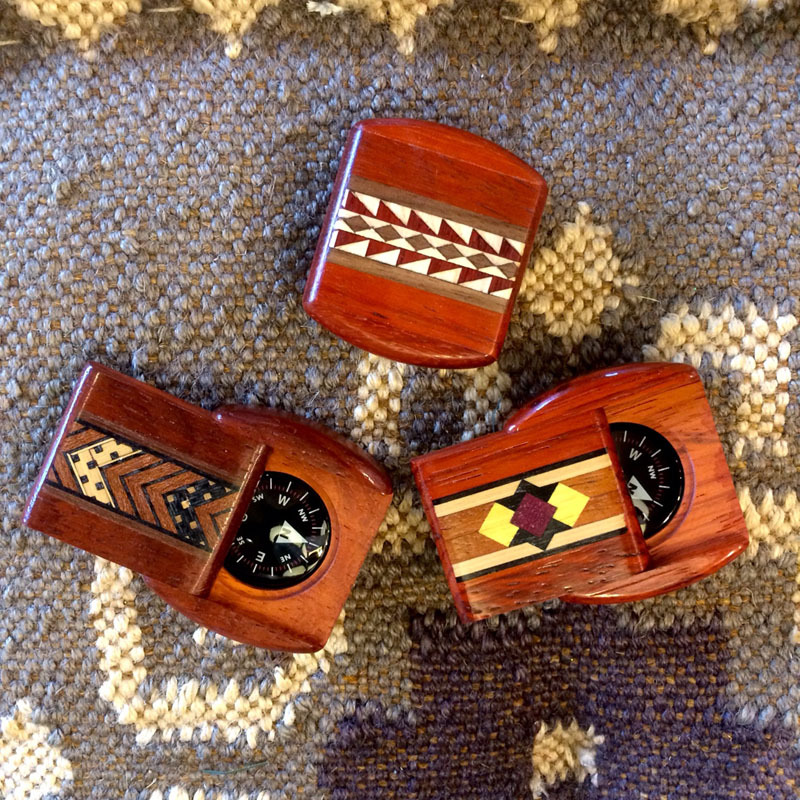 We have hundreds of beautifully hand crafted pieces waiting to go home with you! Sent them in – We’ll be here till 4pm Christmas eve. Don’t forget your coupons! They expire 12/24/16! We wish everyone a very Merry Christmas and Holiday season. We are so blessed to have your support for 69 years and counting! It is the season for giving, so that’s just what we’ll do! This week’s Facebook contest is for $50.00 gift cards for two lucky winners. Just like and share the post – add a comment and you’re entered for a second time! Just in time for gift giving, or for that special gift for yourself. 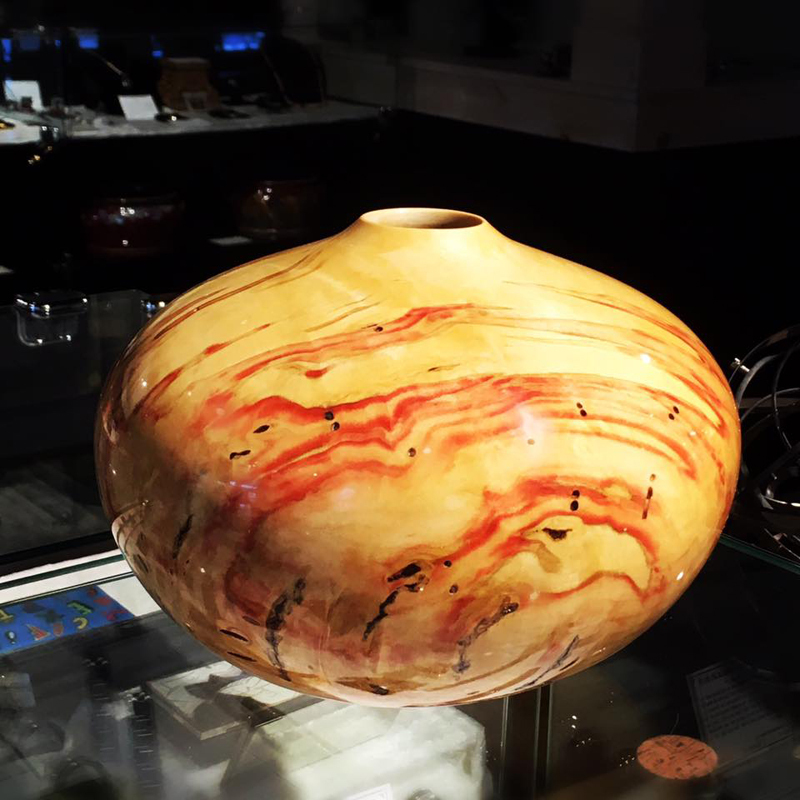 Just look below at what $50.00 can buy at Nance Galleries. And we’ll close with a couple of festive Santas. Crafted from porcelain, you could get both with your $50.00 winnings. So make sure you hop over to our Facebook Page and like the post, share it with your friends and you’re in! Add a comment and your good for two entries. Winner posted on Facebook at 5:00pm Friday, December 16th. Good Luck – And Merry Christmas! And don’t forget your coupons! These are good through Christmas Eve, so hurry on in!